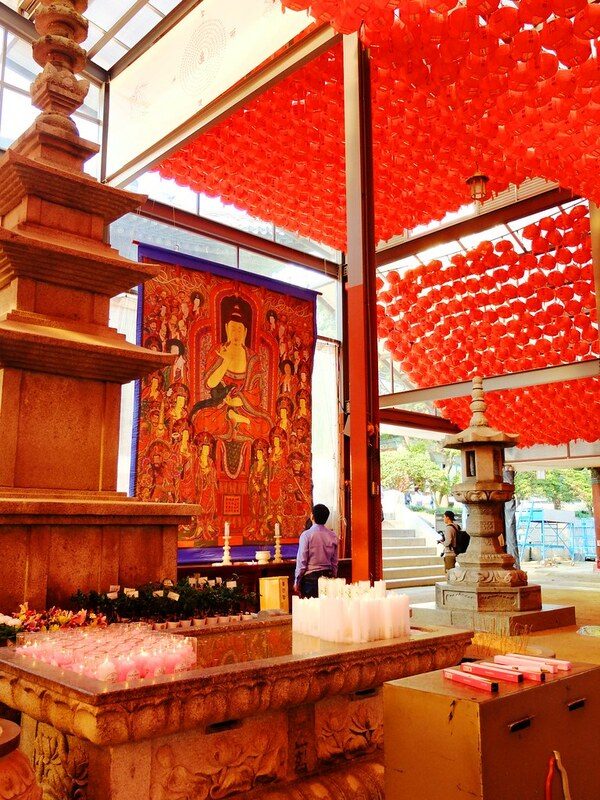 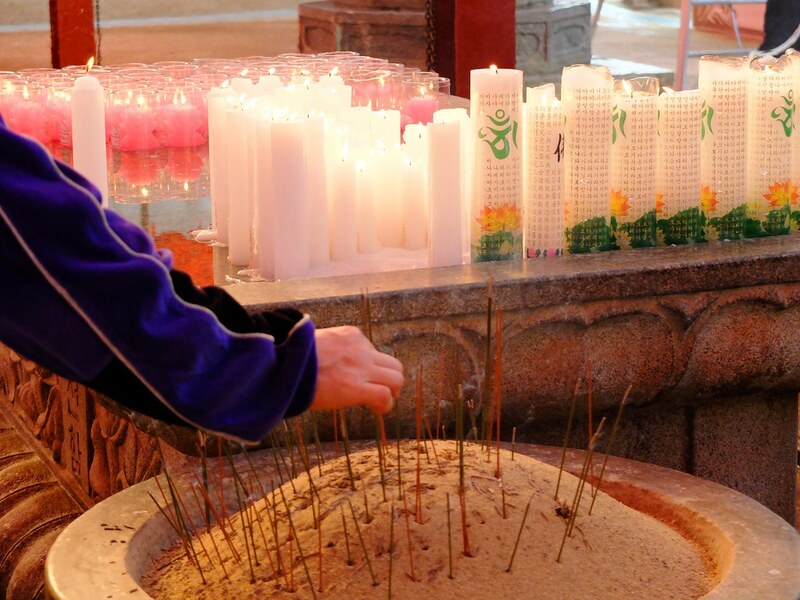 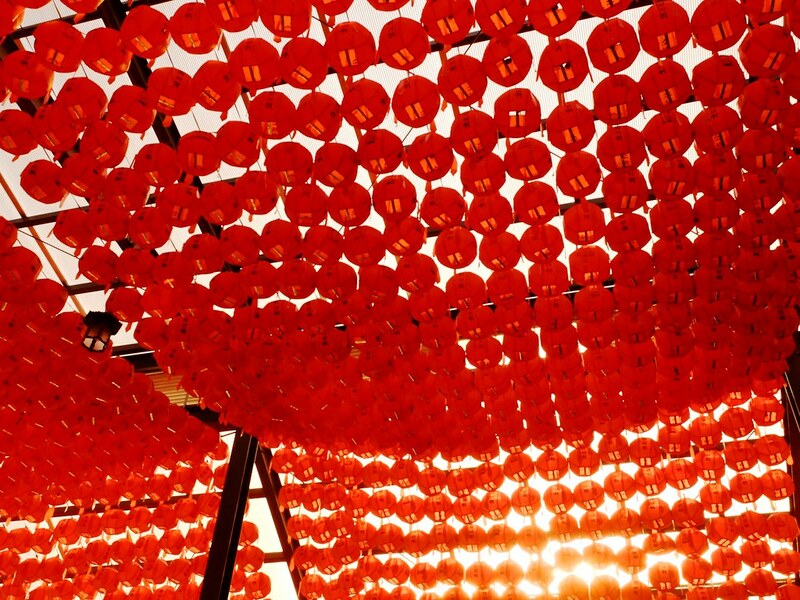 Bongeunsa Temple, located at the northern exit of the large underground shopping mall called Coex Mall is one of Gangnam’s prime offering for visitors who wanted to see the cultural and historical side of the district. 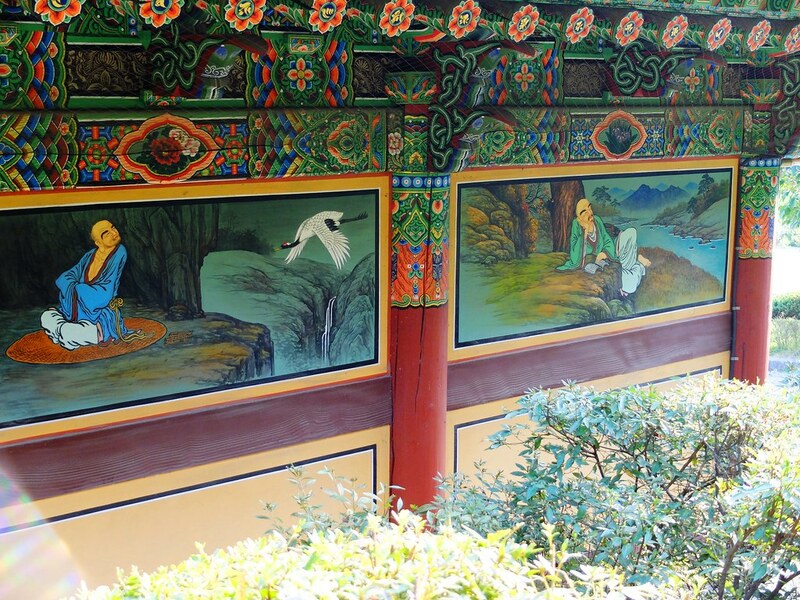 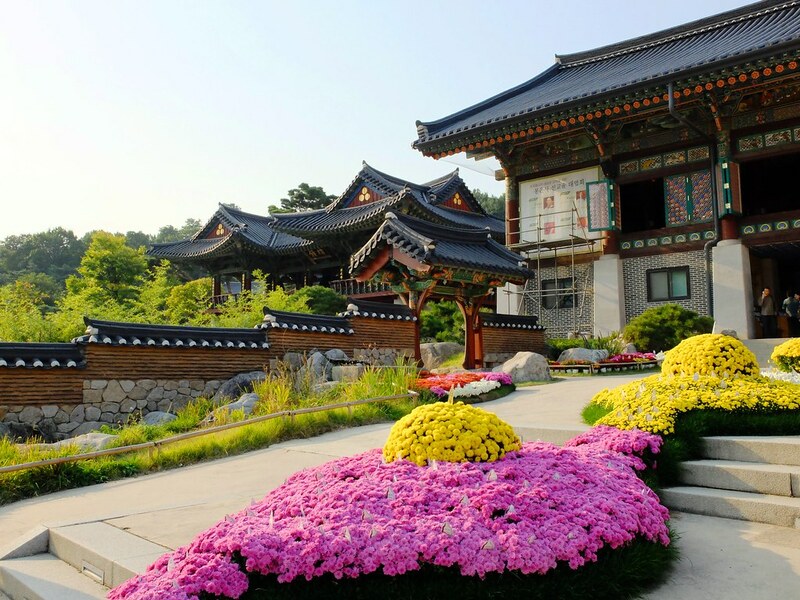 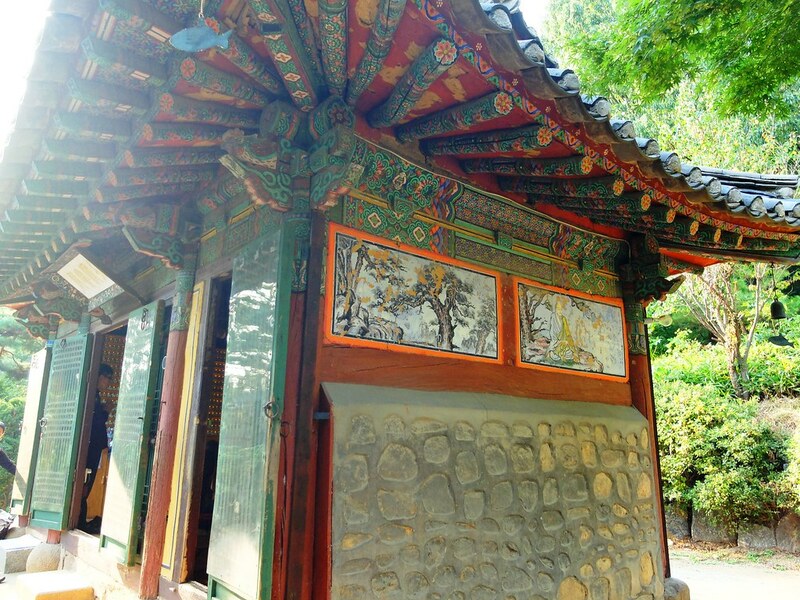 Founded in 794, this thousand year old Buddhist temple of beautiful gardens, lanterns and giant doors is an important institution, though not a must see for many but it is a peaceful breakaway from the monotony of Gangnam, the non-stop promotion of shopping and entertainment. 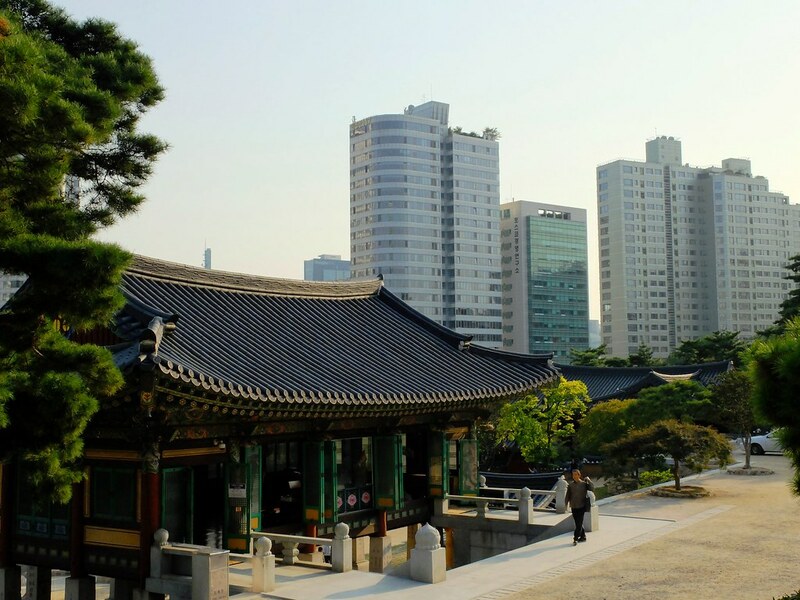 The red and green based paint shrines and temples scattered across the elevated location not only provide a glimpse of the city skyline, above all it leaves an impression that despite its size in comparison to the towering building of World Trade Center and Park Hyatt Hotel, Bongeunsa Temple is the center if not the most important structure in the district. 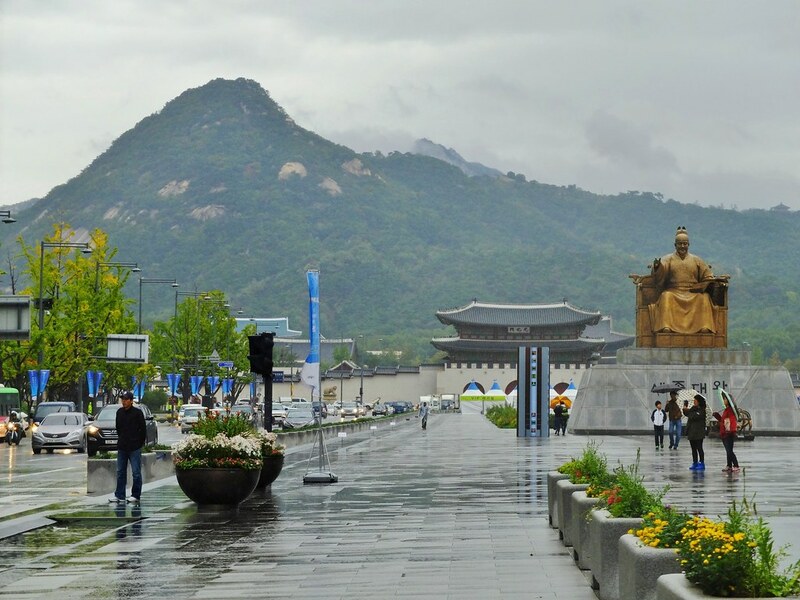 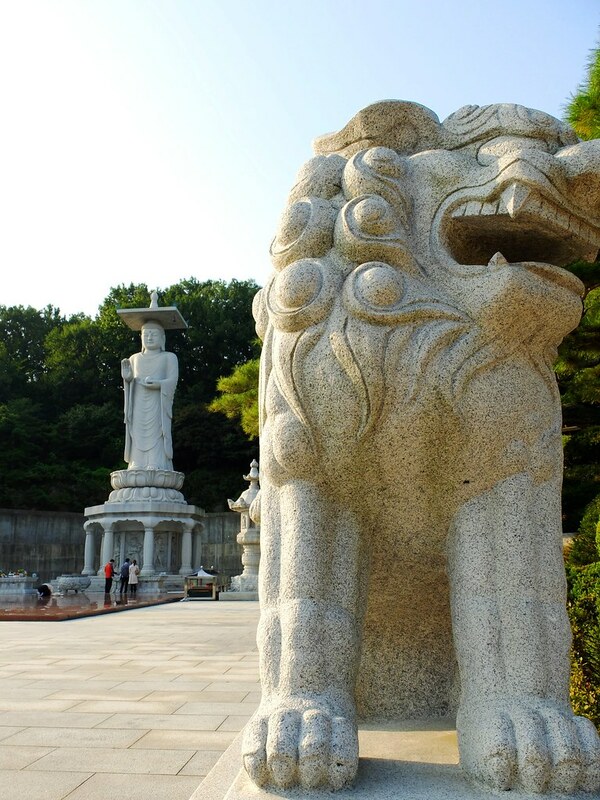 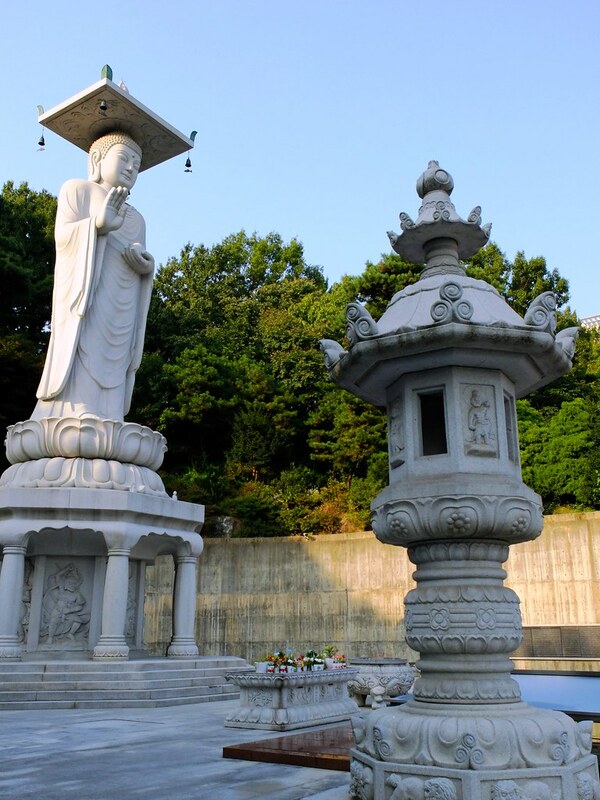 The pride of Bongeunsa is the 23meters height great statue of Maiterya Buddha , the tallest in Korea. 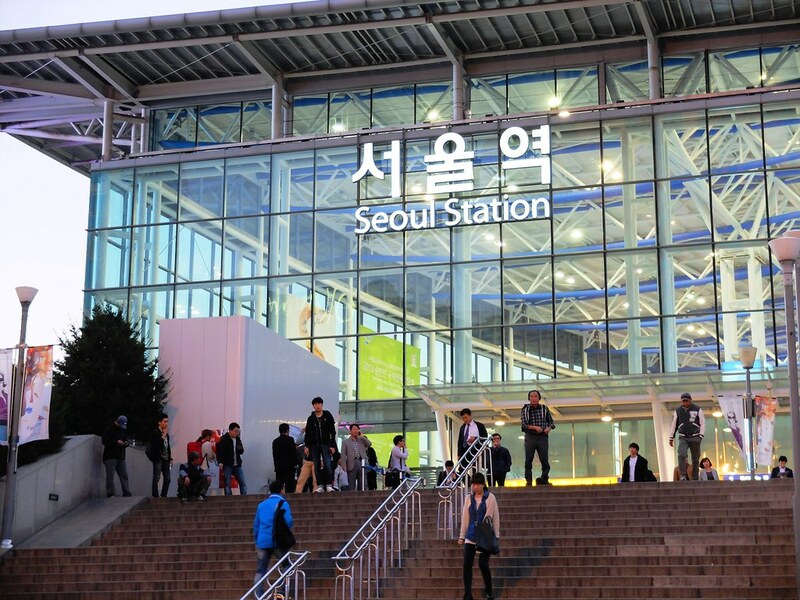 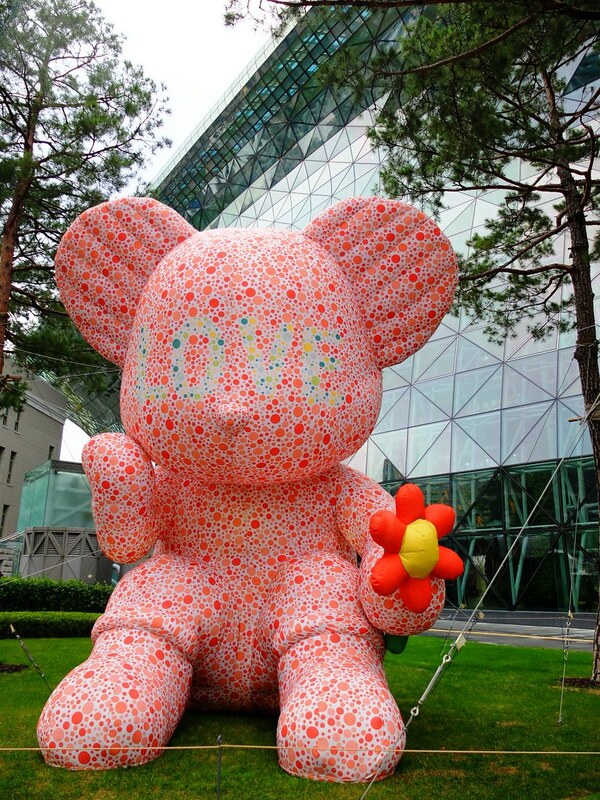 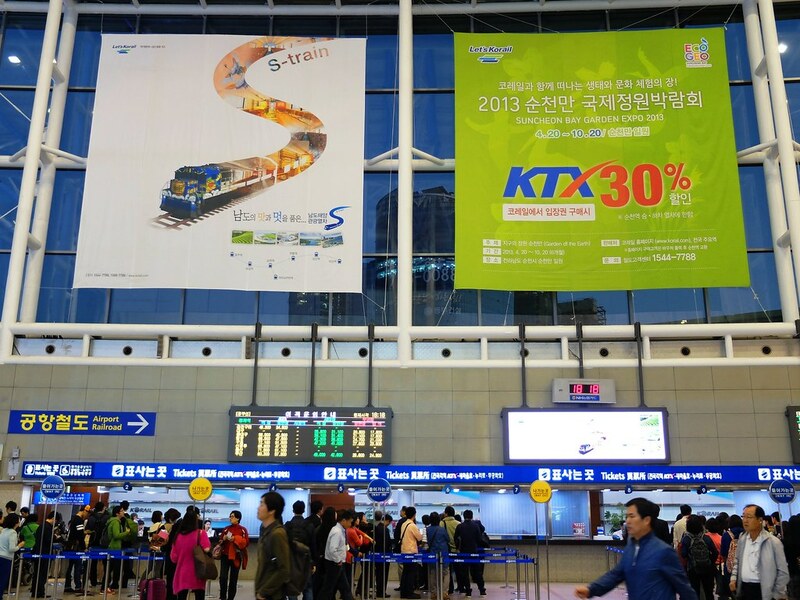 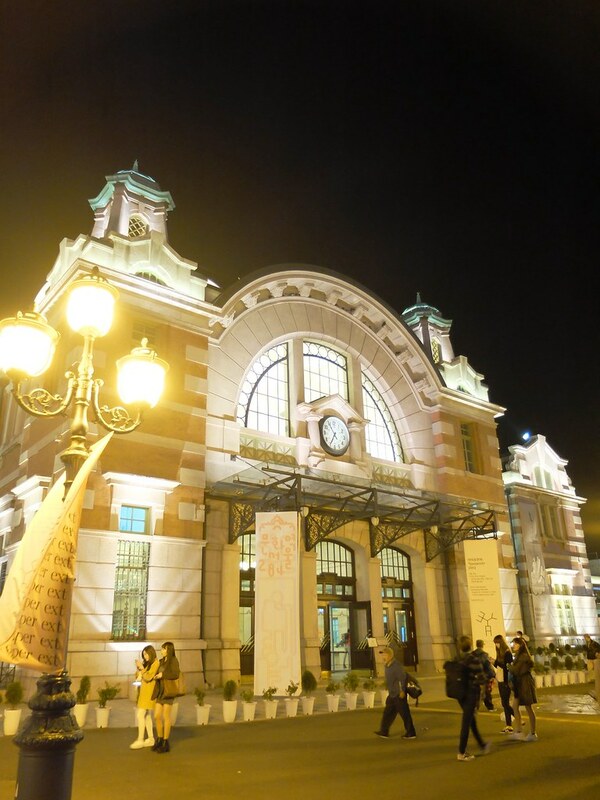 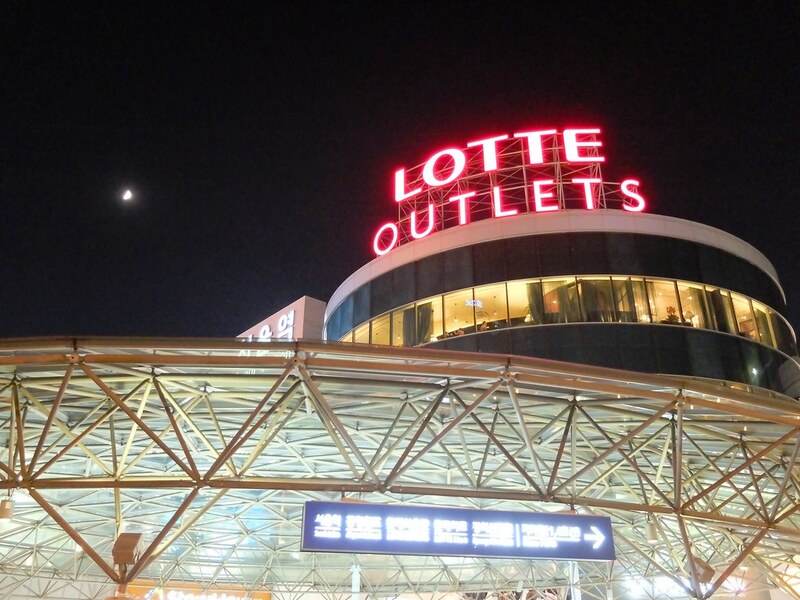 A visit to any city will not be complete without visiting the main train station- the new and the old Seoul Station, several meters apart and contrasting in design. 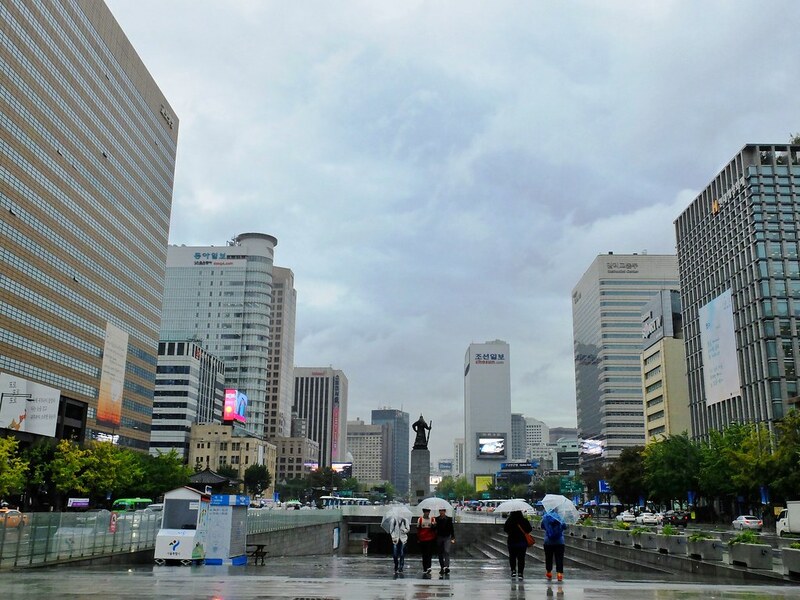 The rest of the day in Seoul has been nothing but rain and can be frustrating particularly when you are trying to maximize the remaining stay on this wonderful city. 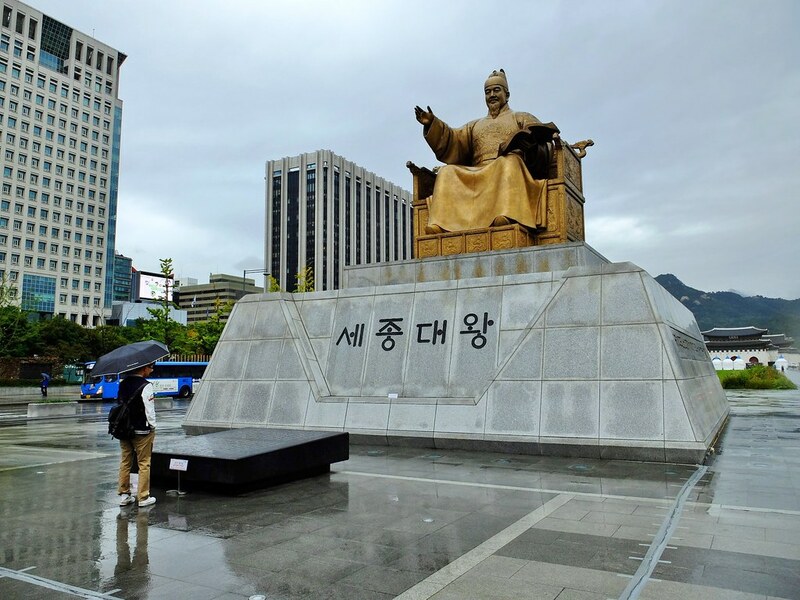 The national landmark of Gwanghwamun Square is walking distance from the hostel where I was staying, so I decided to visit the Statue of King Sejong the Great on my last few day in the city, however the always lively and crowded public plaza was almost empty. 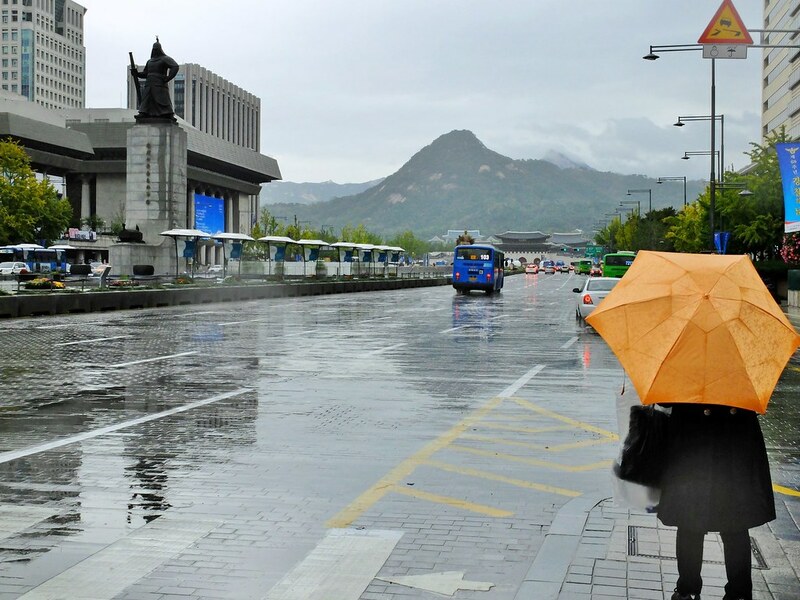 Good thing that Seoul has so many cafes to spend time while waiting and hoping for the weather to change. 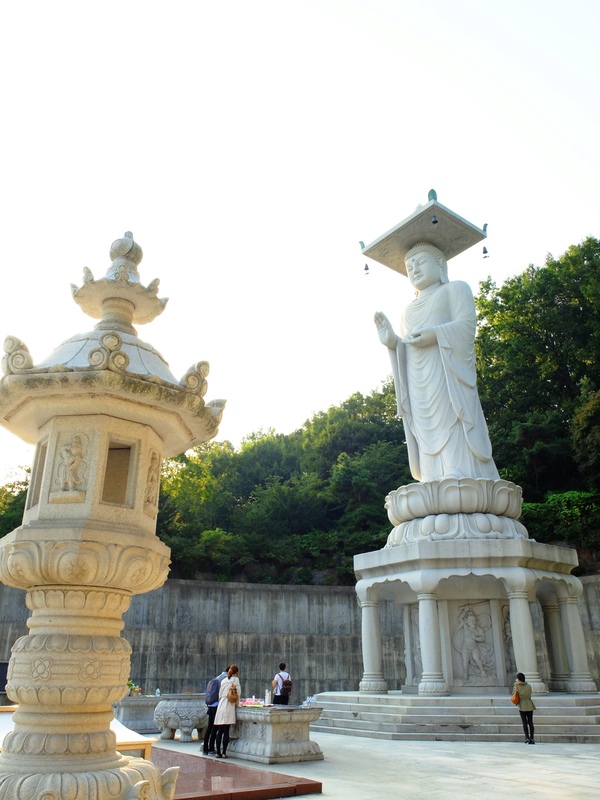 when i look the image of the statue of Maitreya Buddha, the future Buddha; i felt relaxed. 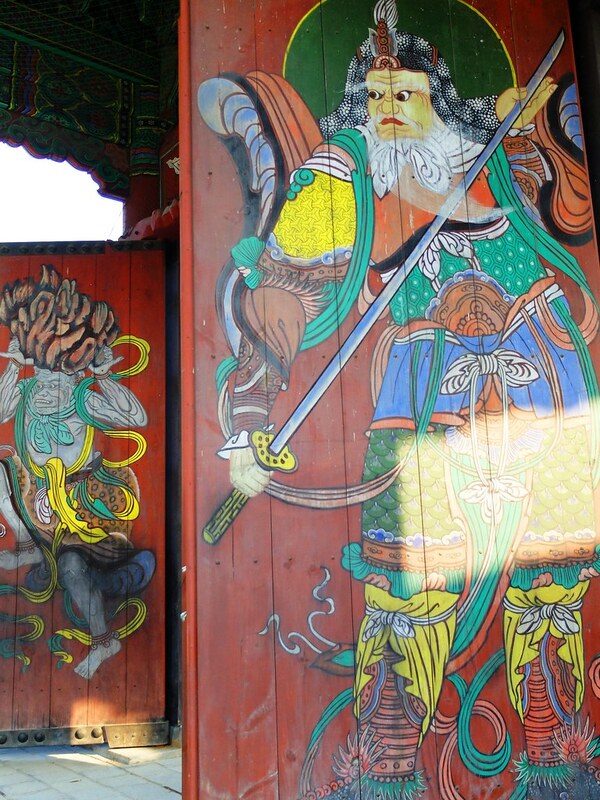 by the way, i was wondering what he had in his head. 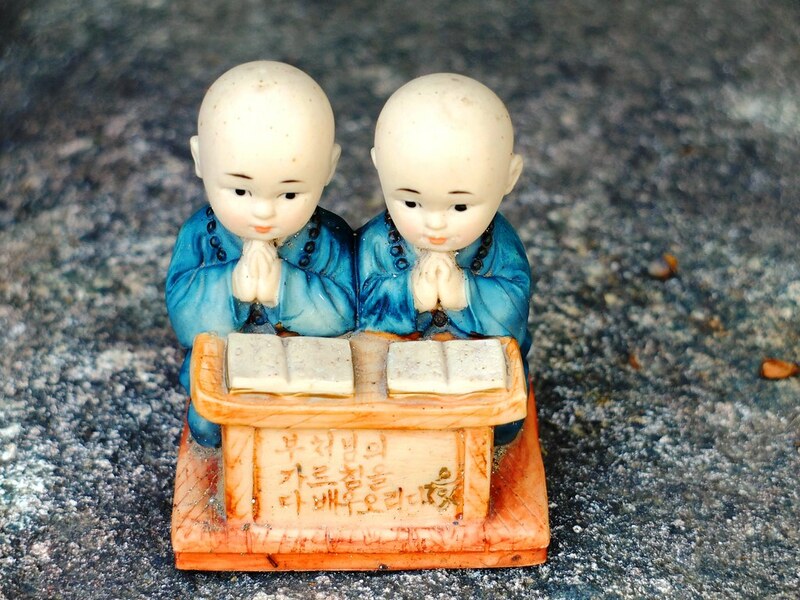 is it unisha that appears in the head?